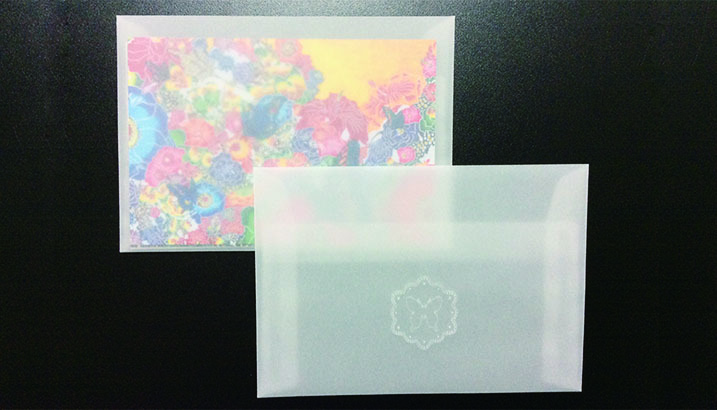 Clear file folders using illustrations created by young Okinawan binagata craftswoman Aragaki Yūka. 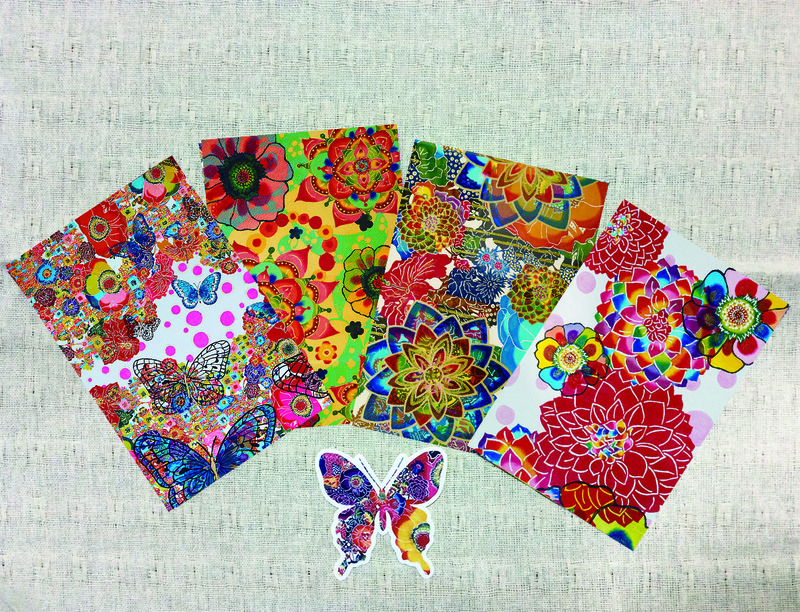 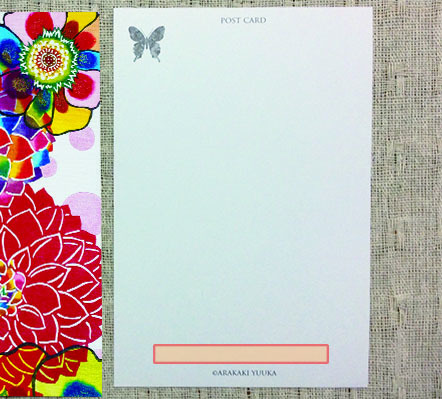 Each envelope with an original design will include 4 different types of postcard plus 1 sheet of butterfly-motif stickers. 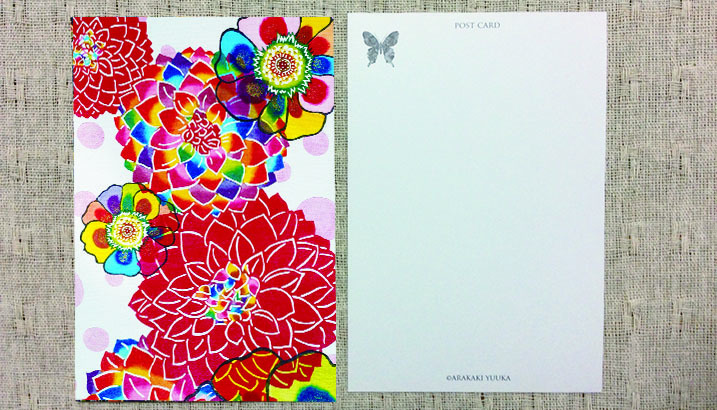 The postcards themselves are thick and have a somewhat luxurious feel.